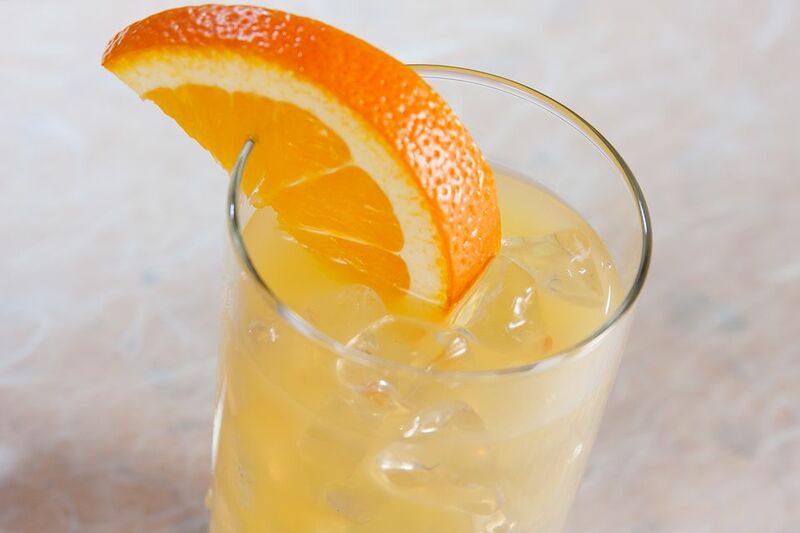 The Sloe Screw is a popular orange juice and sloe gin highball that is easy to make. If you like sloe gin, this is a drink you can enjoy anytime you simply want a good drink. This is the base recipe for a myriad of recipes that begin with a Sloe Gin and orange juice base. You can modify this adding 3/4 ounce of vodka and cut the sloe gin to the same measurement. Check out the Sloe Screw variations below the recipe. Pour the sloe gin (or sloe gin and vodka) into a highball glass filled with ice. Sloe Comfortable Screw: 1-ounce vodka, 1 ounce Southern Comfort, 1/2 ounce sloe gin, fill with orange juice. Sloe Comfortable Screw Against the Wall: 1 ounce each of vodka, Southern Comfort, and sloe gin, fill with orange juice, top with Galliano. ('The Wall' refers to the Harvey Wallbanger, which Galliano is famous for). Sloe Comfortable Mexican Screw Against the Wall: 1/2 ounce each of vodka, Southern Comfort, sloe gin and tequila, fill with orange juice.